​Toys R Us Exclusives and the pricing ranges from $19.99 to $199.99 depending on the size of the product. Below you will find a list of all released and soon to be released Legacy Products. 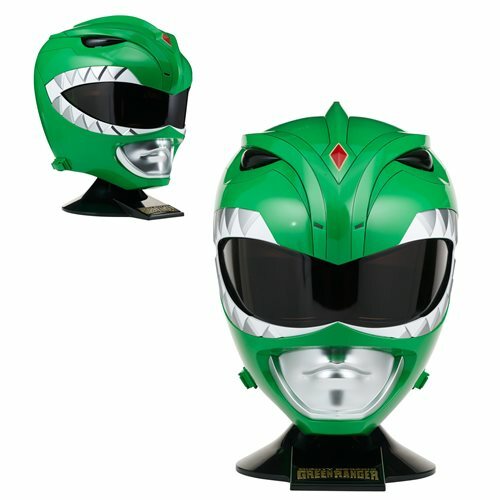 Pre-Order the Power Rangers Legacy Green Ranger Cosplay Helmet from www.EntertainmentEarth.com! Currently priced at $104.99 this replica cosplay helmet is designed to match the original series and can be worn! It also comes with the display stand pictured above! PUNCH the link to order yours today! Estimated Release Date February 2018! 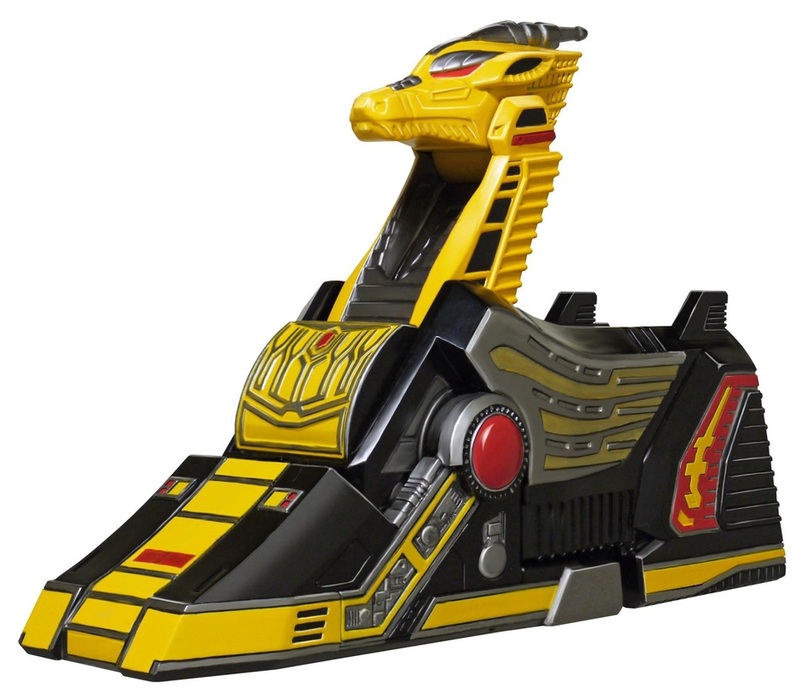 Pre-Order the Power Rangers Legacy Zeo Zeonizer Morpher from Entertainment Earth Today! Currently priced at $104.99 this morpher is the next in series and will be a great addition to any collection! 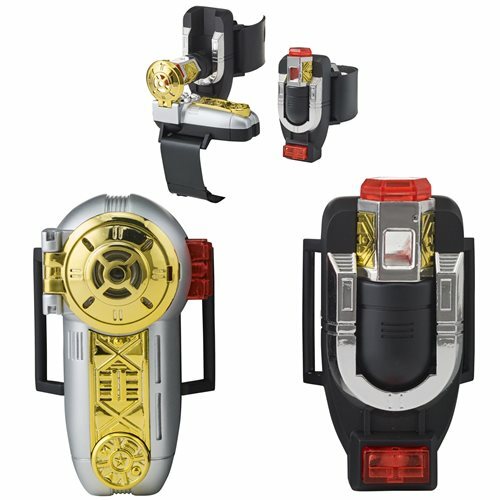 Featuring show accurate lights and sounds along with premium die-cast parts the Zeonizer is perfect for display or cosplay. 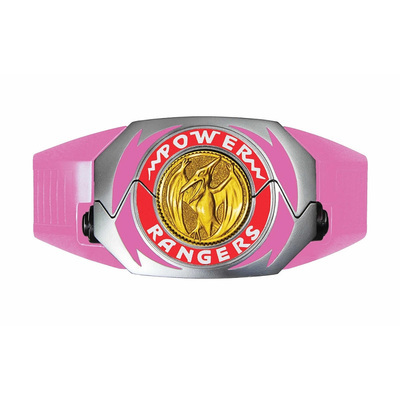 PUNCH the link to order yours today! 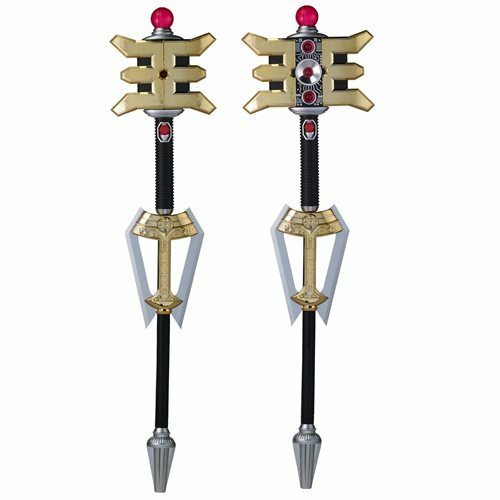 Pre-Order the Power Rangers Legacy Zeo Golden Power Staff at Entertainment Earth Today! 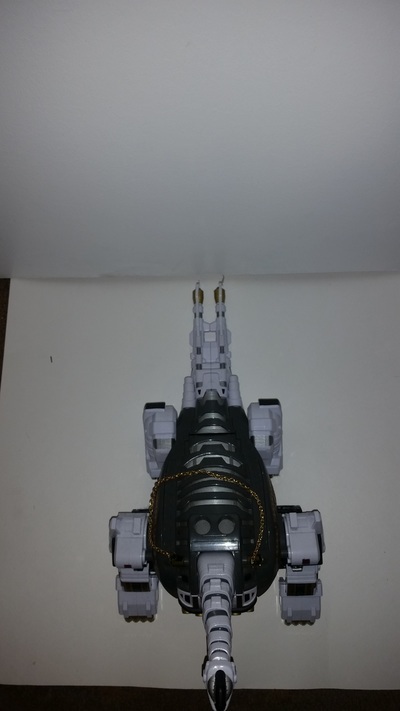 Currently priced at $154.99 this is the next Ranger Weapon to be released and will feature show accurate lights and sounds as well as die-cast metal and plastic! 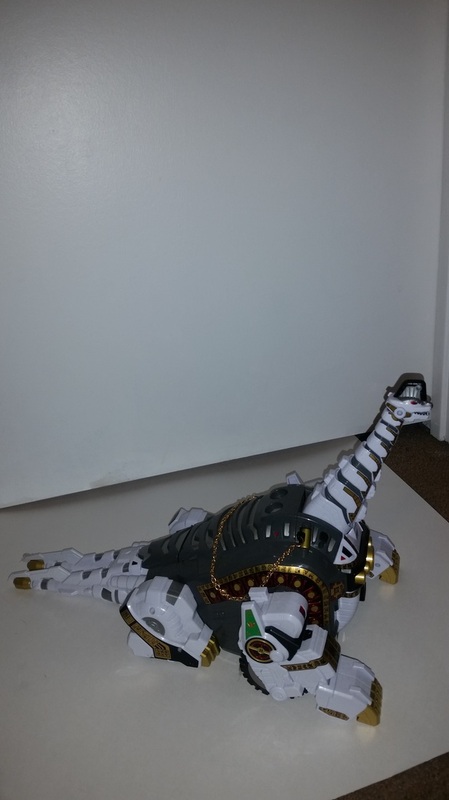 This item is great for display or cosplay! PUNCH the link to order yours today! 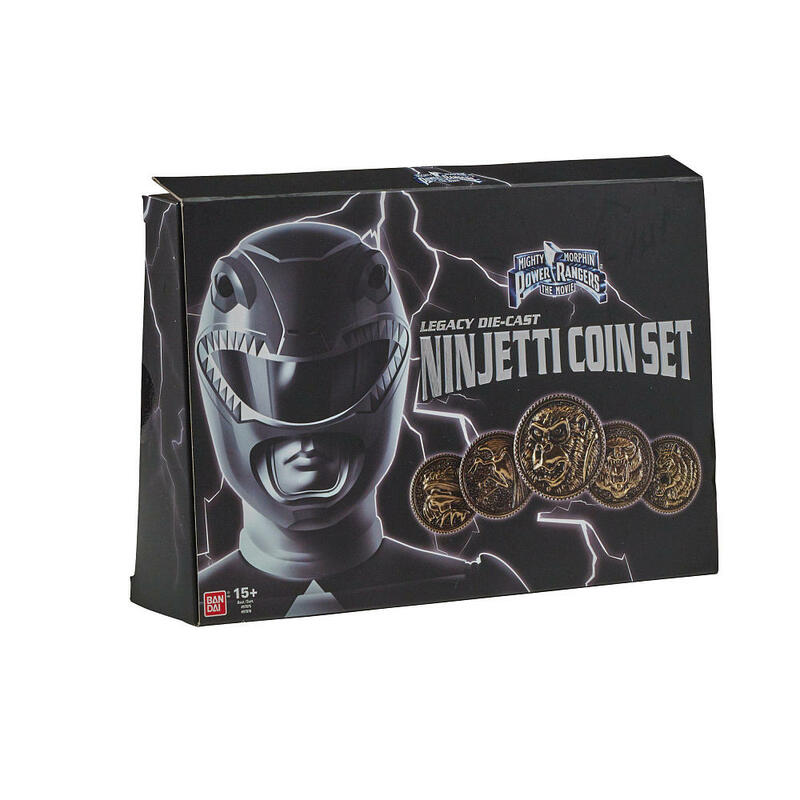 The Legacy Ninjetti Coin Set is packaged similarly to the Mighty Morphin Legacy Power Coins and is priced at $24.99. 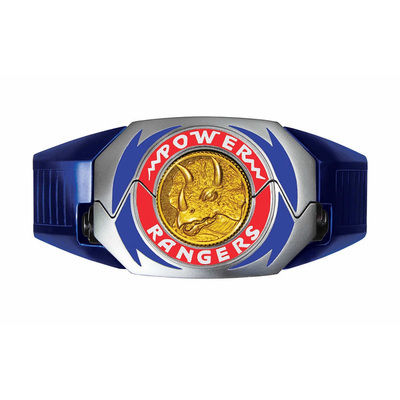 Release Date is to be determined but you can watch the item on the Toys R Us website. ​ PUNCH the button below! 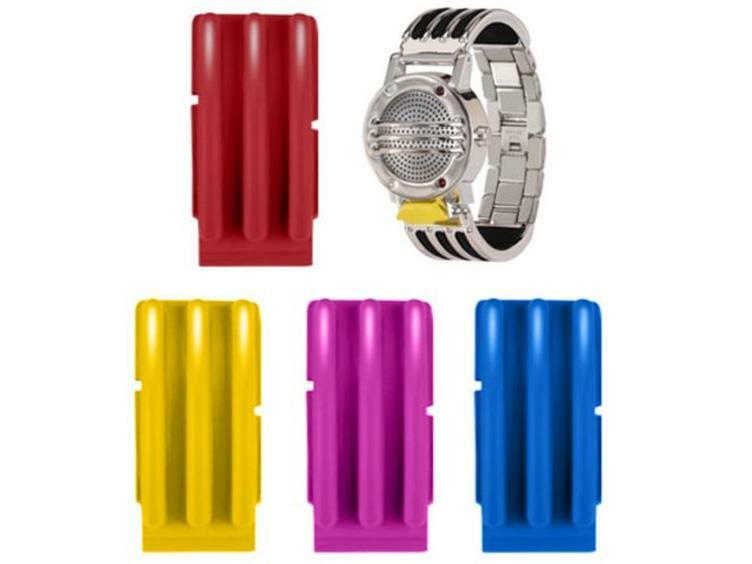 When more information is available on this product this page will be updated. 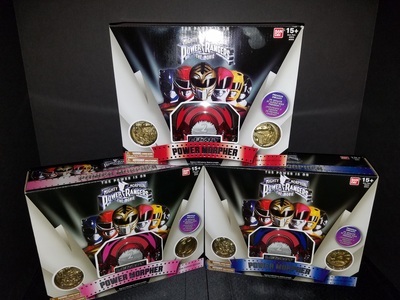 The Legacy helmet series continues with the Legacy Red Ranger Movie Helmet from Bandai! 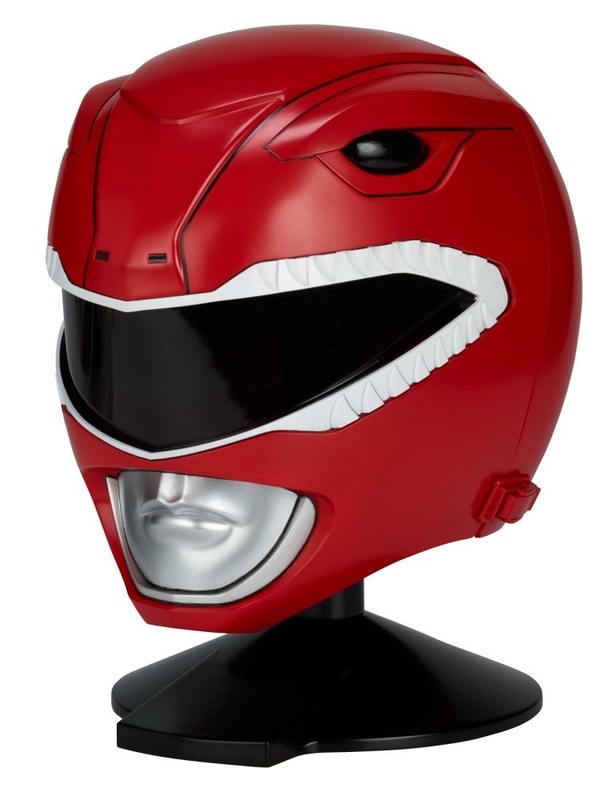 This helmet is designed after the Red Ranger from the Power Rangers 2017 movie. It is wearable and comes with a display stand. 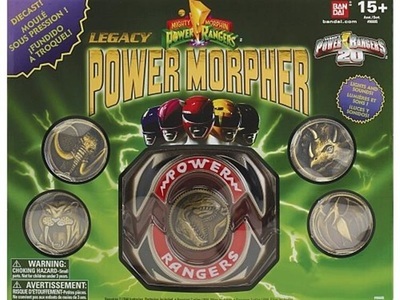 This Legacy product will make a great display piece and a great cos-play accessory! 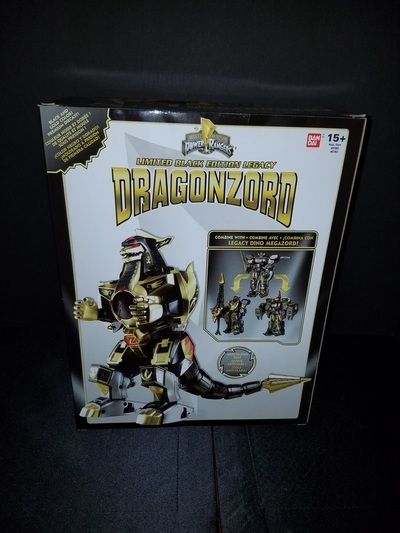 Priced at $114.99 and available between September & October 2017! These Legacy Movie Power Coins will make a great display piece and add a nice feel to any collection! 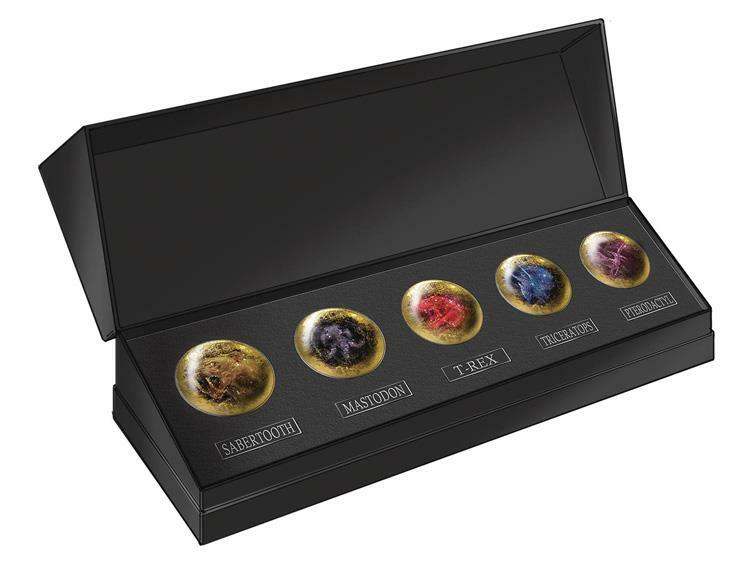 Set in a sleek black display with their dinosaur names underneath, this display features a light up function behind the coins! Prices at $114.99 and scheduled for release between September & October 2017 it is a must have item! ​PUNCH the link below to pre-order yours today! Titanus is back in a new black & gold design that will complete the set of Black & Gold Zords. 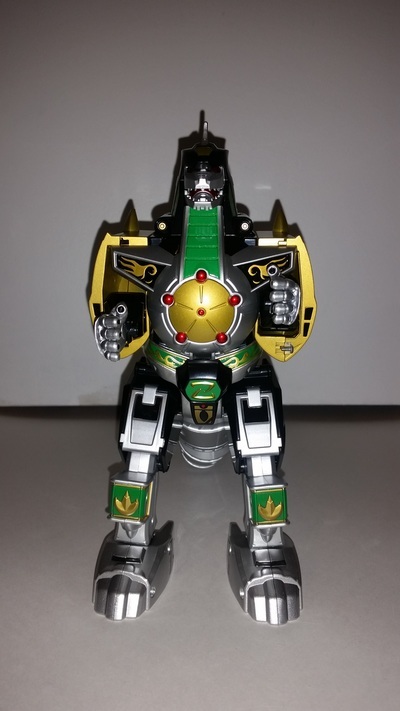 He features the same articulation as the original Legacy Titanus and can still change forms to carry the Megazord on his back into battle! 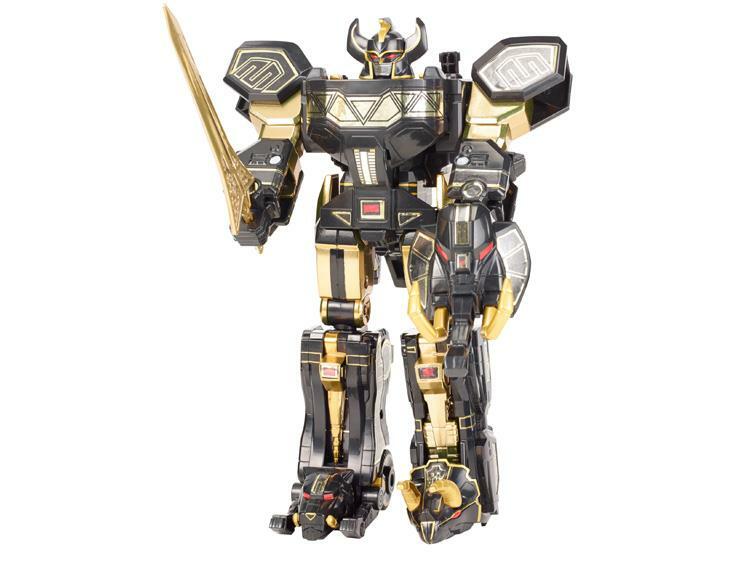 Legacy Black & Gold Titanus is priced at $159.99 and set to be released between September & October 2017. Don't miss your chance to own this amazing Legacy Titanus! 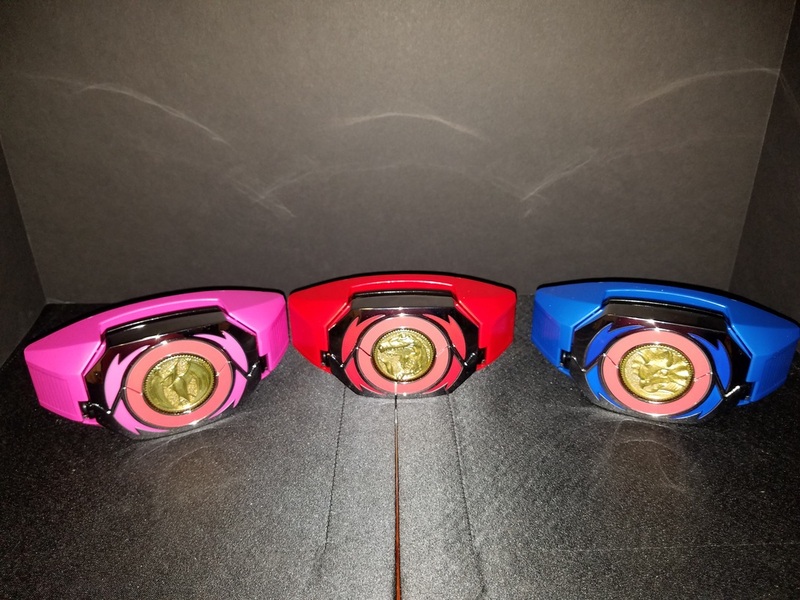 PUNCH the link below to preorder yours today! 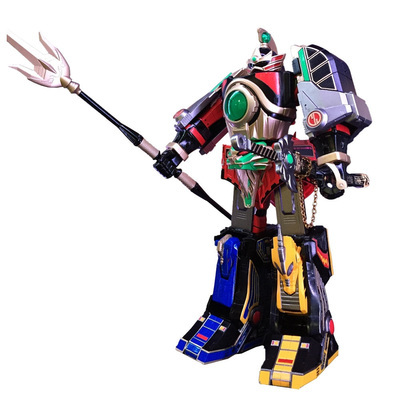 Order MMPR Titanus Black Edition Legacy Action Figure from Entertainment Earth! The Legacy Red Ranger Power Sword has been re-created with extreme detail. 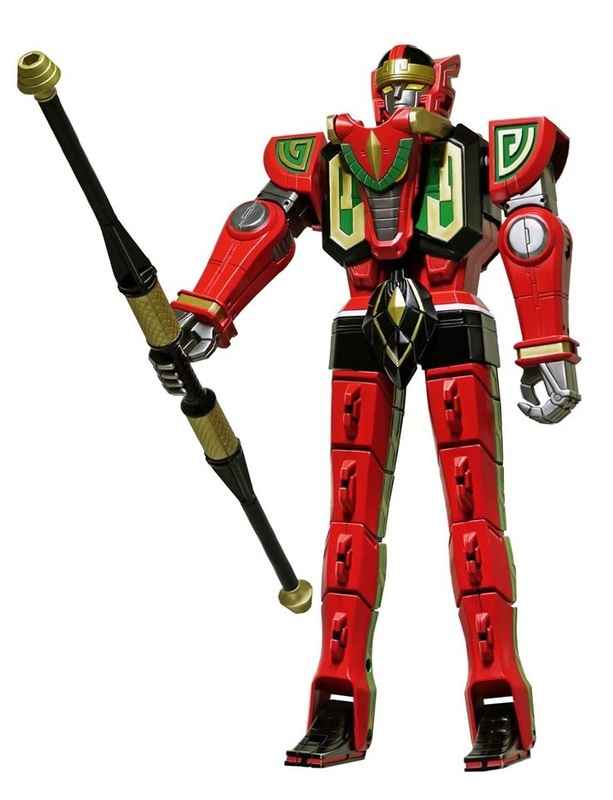 It is also worth noting that this is the first time we are getting this sword re-created in this way. 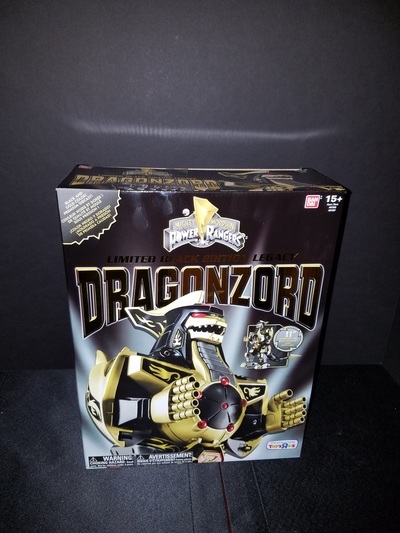 This product will cost between $74.99 & $89.99 depending on where you find it and is scheduled to release between July & August of 2017! 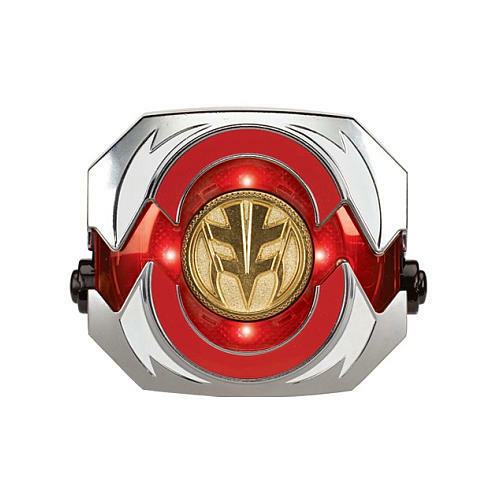 PUNCH the link below to preorder! 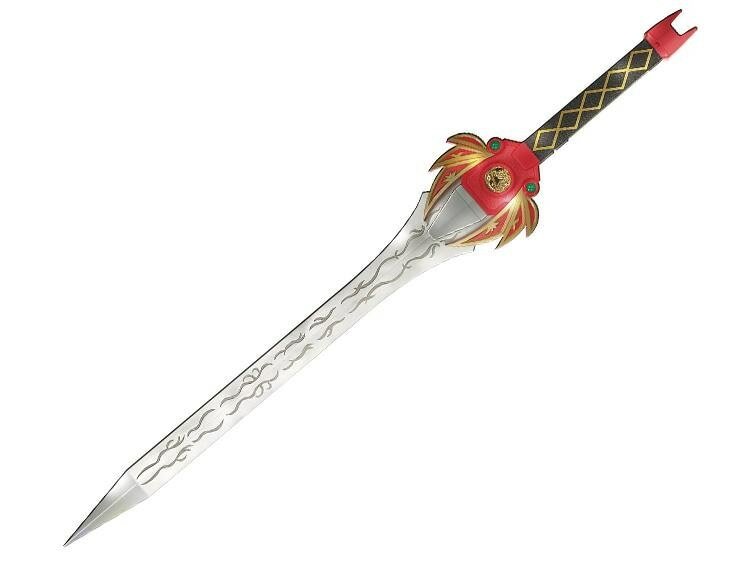 Order MMPR Legacy Red Ranger Power Sword from Entertainment Earth! 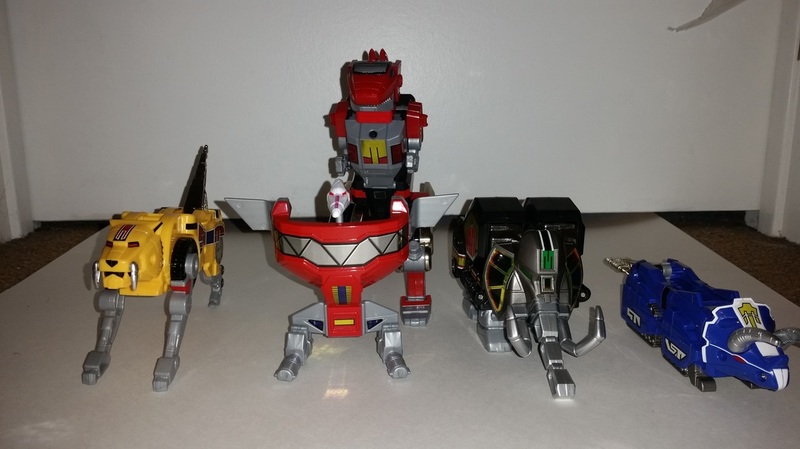 The Legacy Build-A-Figures approximately 6.5" tall, have 20 points of articulation and come with pieces to build the Zord from their respective series. 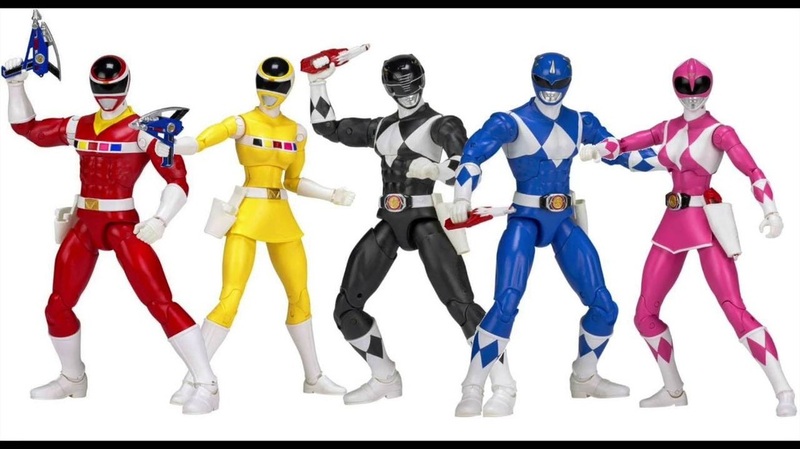 ​ This wave consists of all 5 Movie Rangers & Alpha 5. 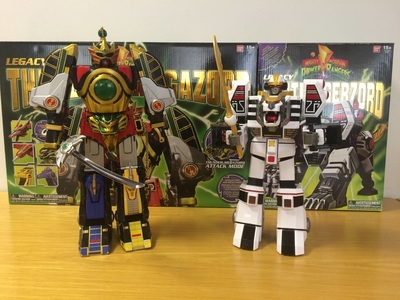 ​Completion of this set will allow you to build the movie Megazord! 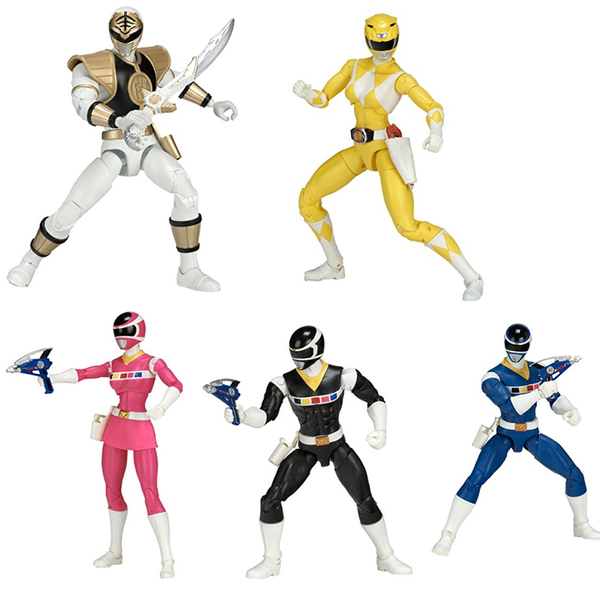 These figures are priced at $19.99 each and are Toys R Us Exclusives. 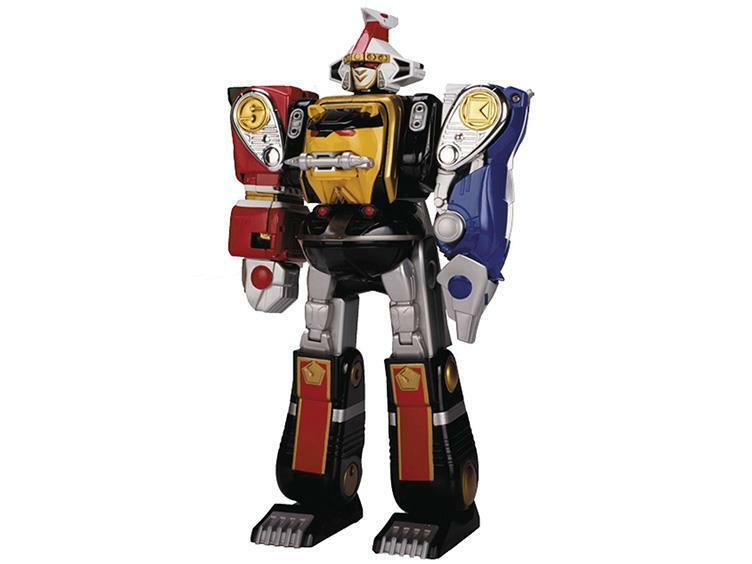 The Legacy Build-A-Figures approximately 6.5" tall, have 20 points of articulation and come with pieces to build the Zord from their respective series. 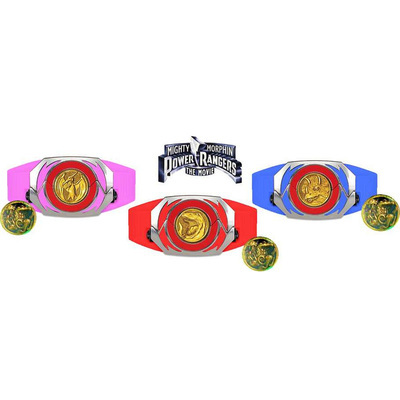 ​ Wave or Series 2 consist of MMPR Blue, Black &Pink as well as In Space Red & Yellow. ​These figures are priced at $19.99 and come in assortment packs. 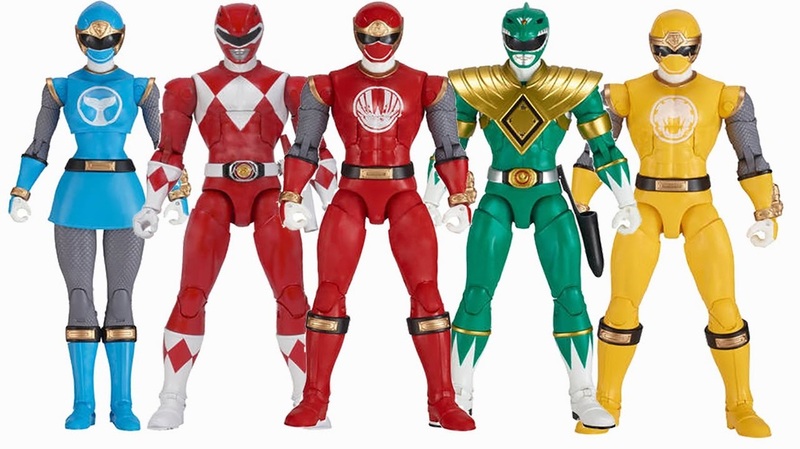 You can find these figures on store shelves today! 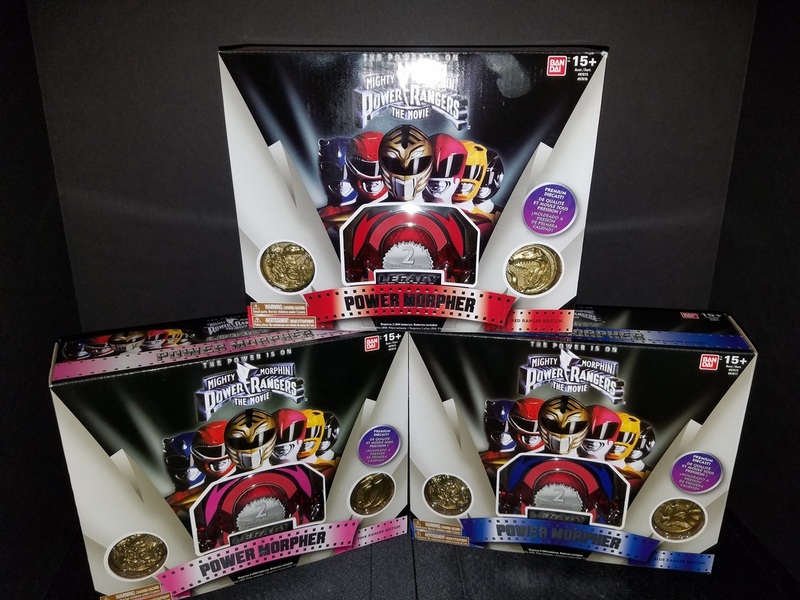 The Bandai Power Ranger Legacy Build A Figure sets are the the latest Figure Line out right now! 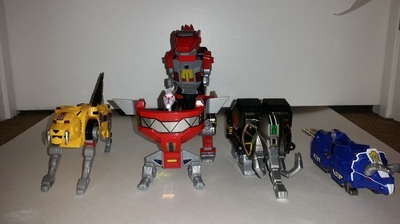 These figures are approximately 6.5" tall, have 20 points of articulation and come with pieces to build the Zord from their respective series. 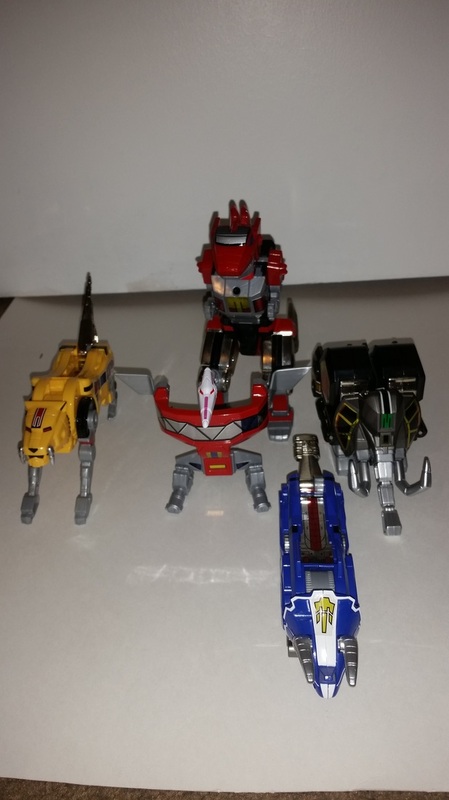 Wave 1 consists of MMPR Red, MMPR Green, Ninja Storm Red, Ninja Storm Blue & Ninja Storm Yellow. 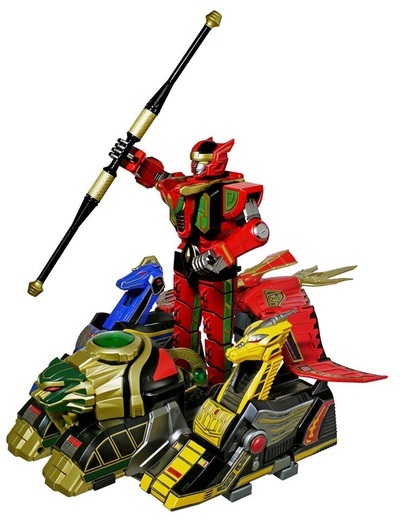 These figures are priced at $19.99 and come in assortment packs. 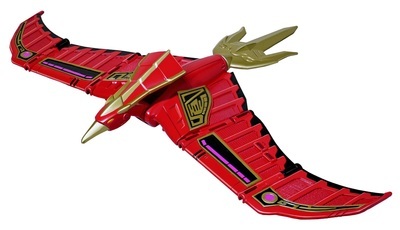 They are part of the new set of toys to hit Target stores this month and should appear on shelves as each store does its own reset of the aisles. 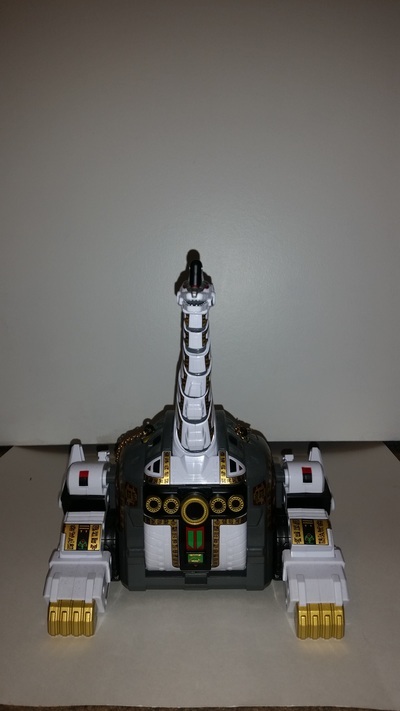 However most Target stores already have them available in the back room. The Item Number or DPCI for these figures are 087-06-4657. 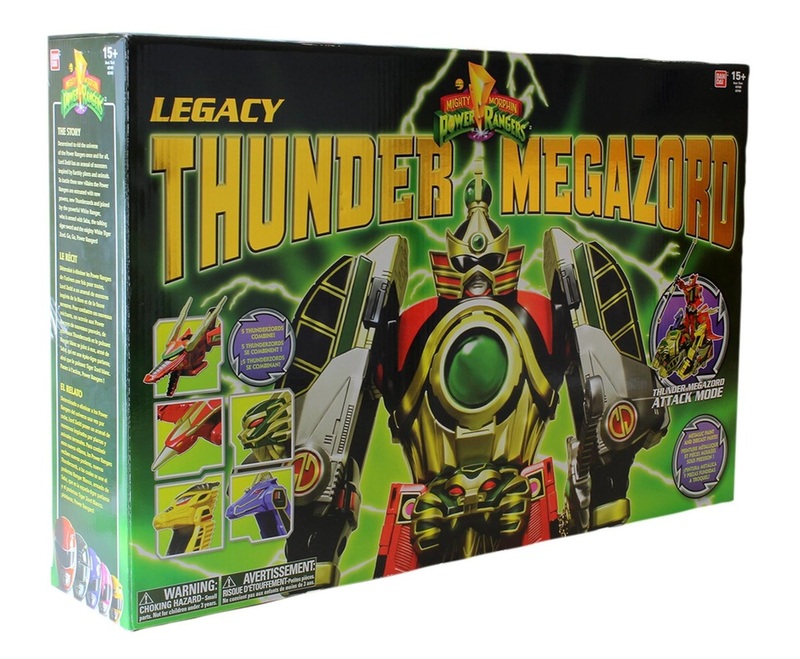 The Legacy Ninja Megazord has finally appeared and is priced at $99.99. 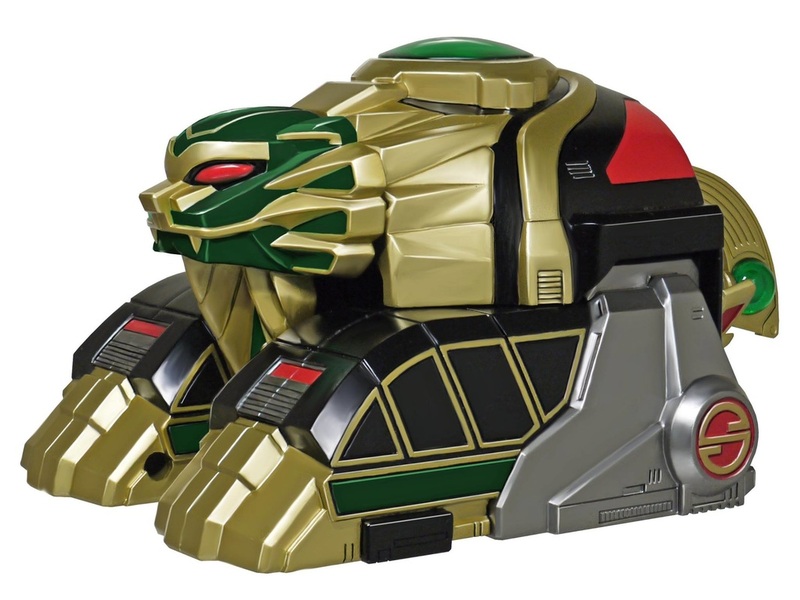 This Legacy Zord has a release date of November 2016 but not further info has been released yet. 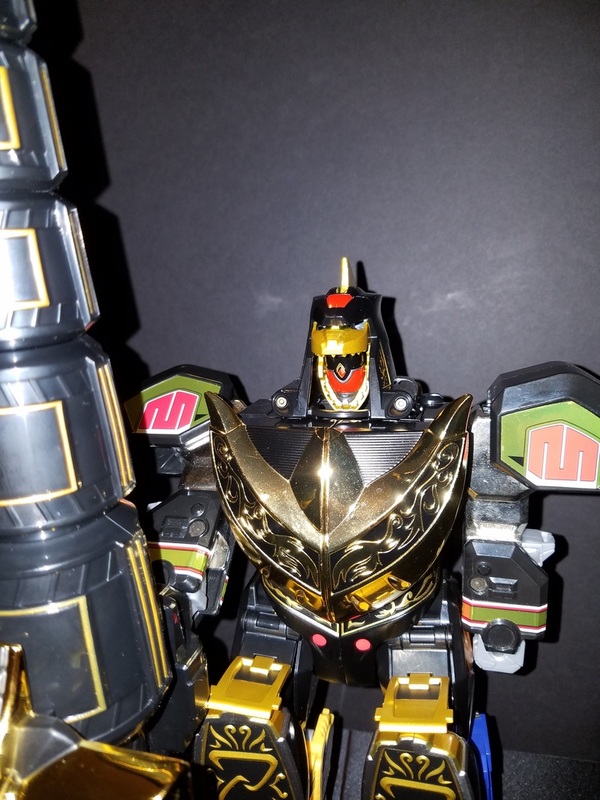 For a closer look at the Legacy Ninja Megazord and for addition info PUNCH the button below. To pre-order PUNCH the Amazon link! 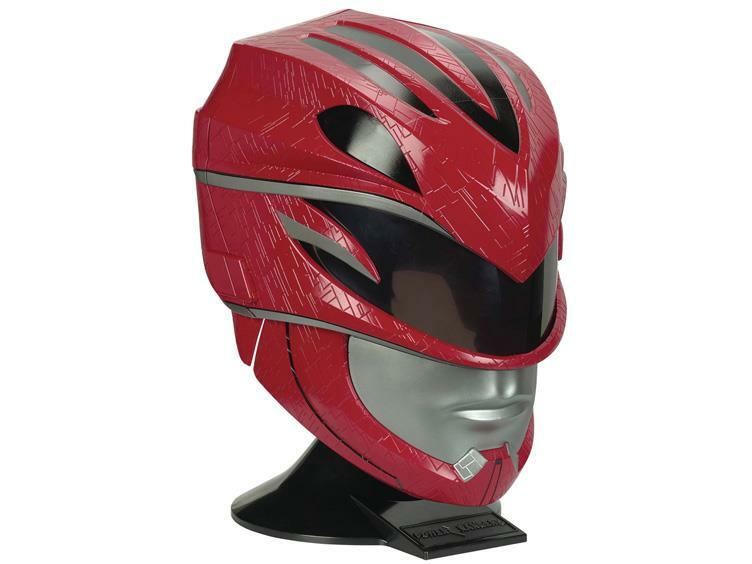 Bandai has announced the Legacy Red Ranger Cosplay Helmet. 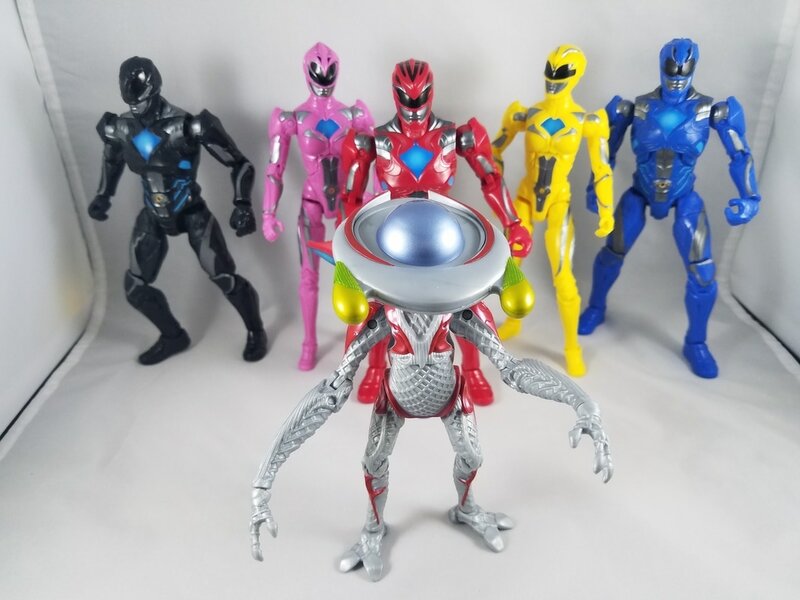 This is a first for the Bandai line of Power Rangers collectibles and is hopefully a step towards seeing more helmets from them in the future. It is a 1:1 scale replica and is wearable! 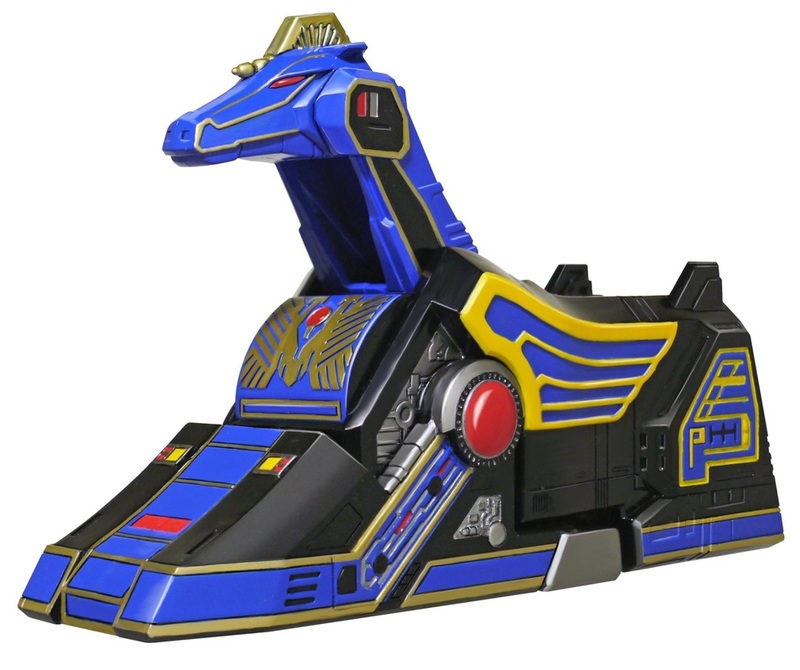 This item is priced at $99.99 and is AVAILABLE NOW. To read the review and get a closer look PUNCH the button below. To pre-order PUNCH the Amazon link provided. The Legacy Movie Morphers are back and this time come in Red, Pink & Blue. 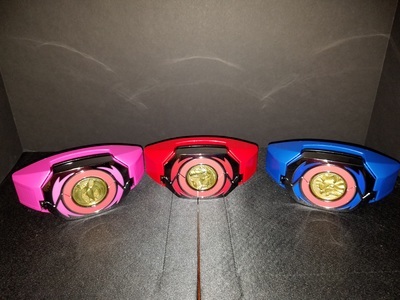 They are exactly the same as the Legacy White Ranger Movie Morpher but in the alternate colors and with the alternate coins. 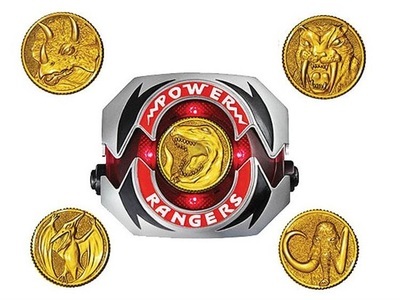 There is no info if they will include the Ninja Ranger Power Coins but based on multiple product images it does not look like they will come with them. 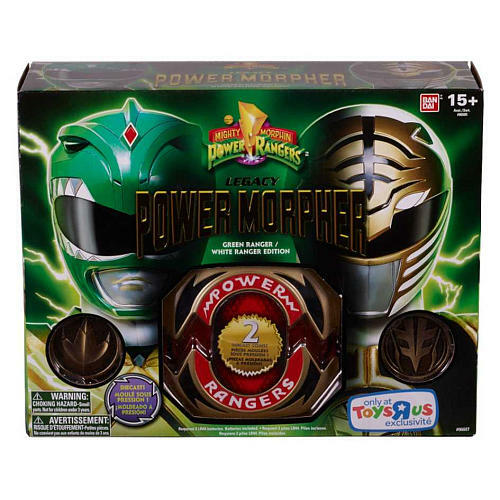 These morphers were released in May 2016 ahead of their originally planned June 2016 release date and are priced at $59.99 Each. 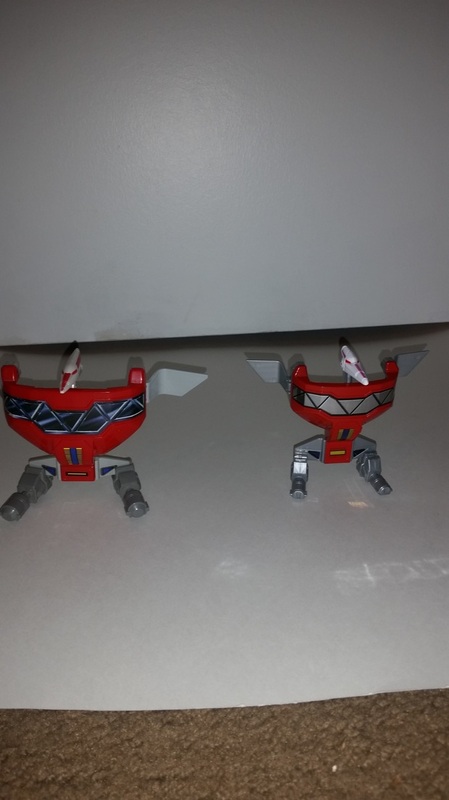 These are a Toys R Us Exclusive. To read a review on these Morphers and how to purchase them PUNCH the button below! ﻿The Legacy Thunderzords are another recent announcement from Bandai. 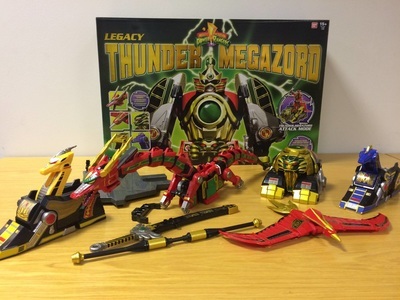 We can see here The Legacy Thunder Megazord and we also can confirm that it will come with the Assault Sled and combine with Legacy Tigerzord as well. 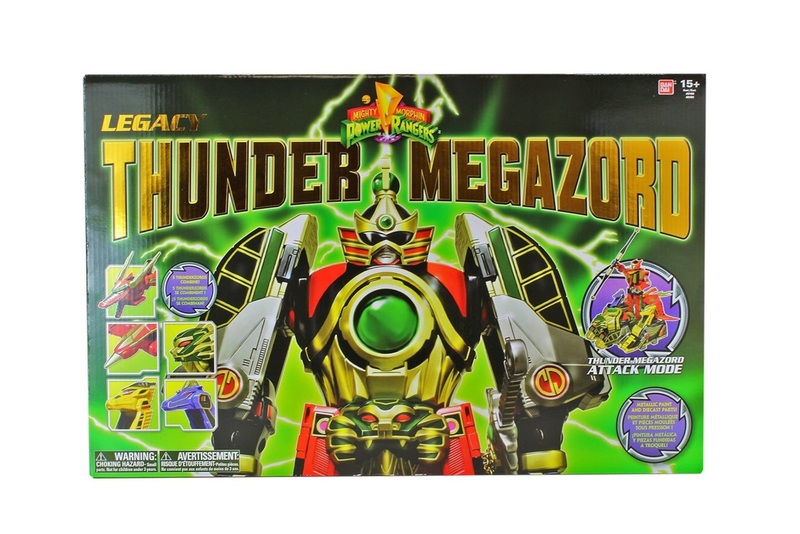 The Legacy Thunder Megazord is starting to show up in Toys R Us stores and on their website. 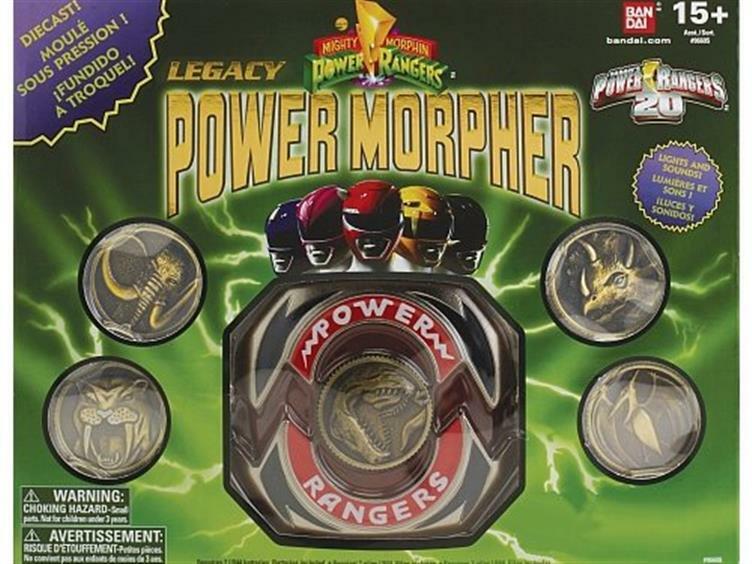 This Legacy figure is priced at $199.99. 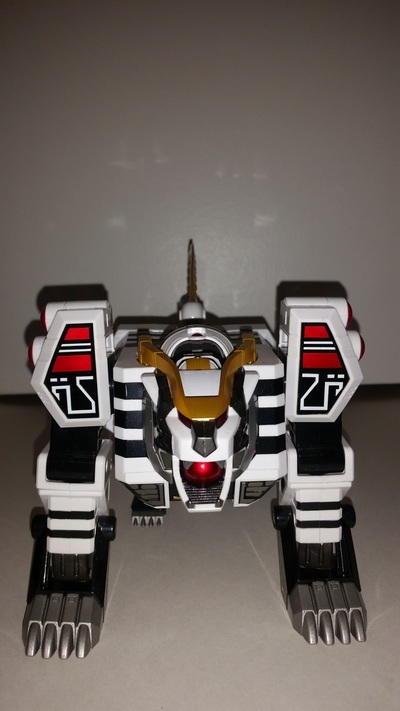 To read a review of the Legacy Thunder Megazord PUNCH ​the button below. The Legacy Black & Gold Dragonzord is the same as the previous Legacy Dragozord except the colors has been changed to black & gold. It is a Toys R Us ONLY item like most of the Legacy Line and is priced at $79.99. For additional photos PUNCH the button provided. 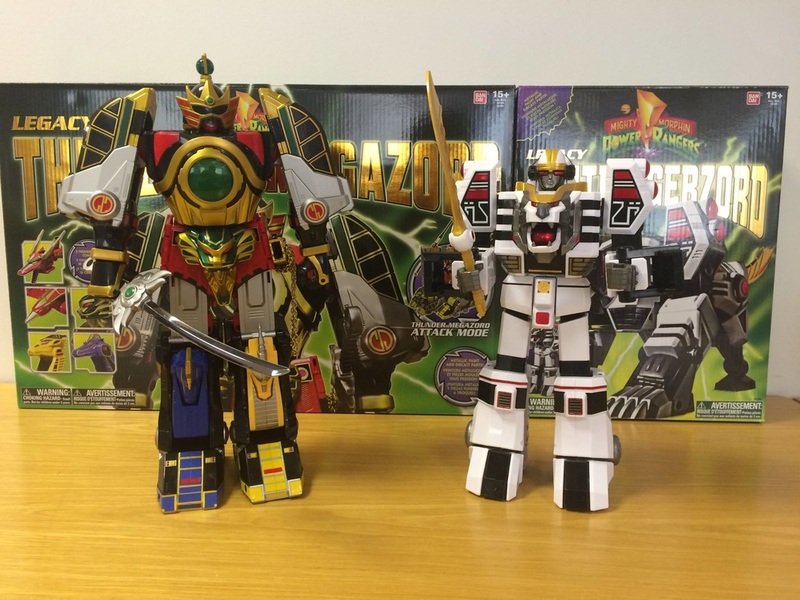 ﻿The Power Rangers The Movie Legacy Falconzord box art and zord images have been revealed! 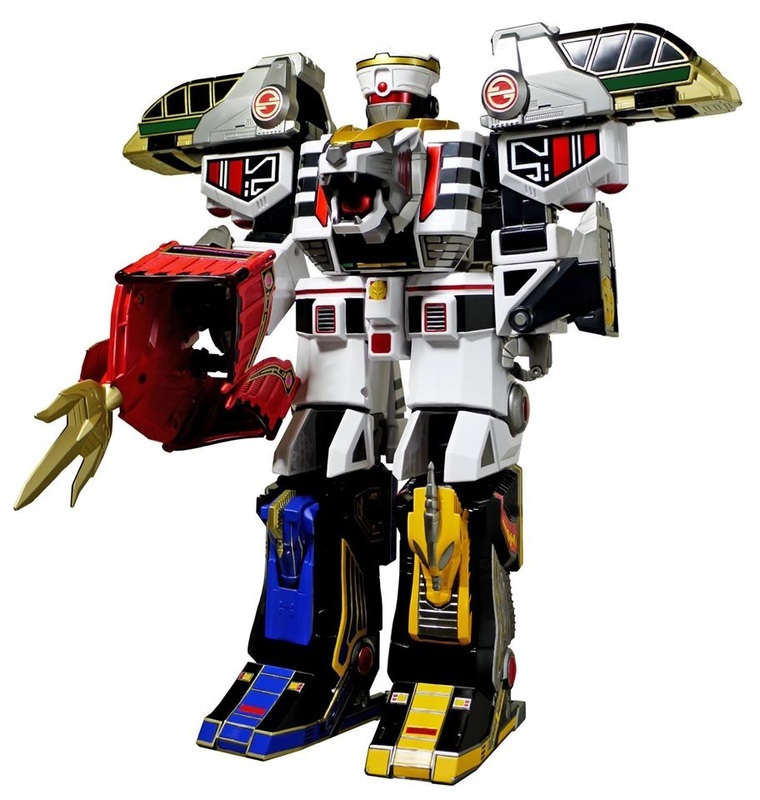 Like other Zords in the Legacy Line the Legacy Falconzord will contain die-cast parts and eventually will combine with the Ninja Megazord which has not been revealed yet. 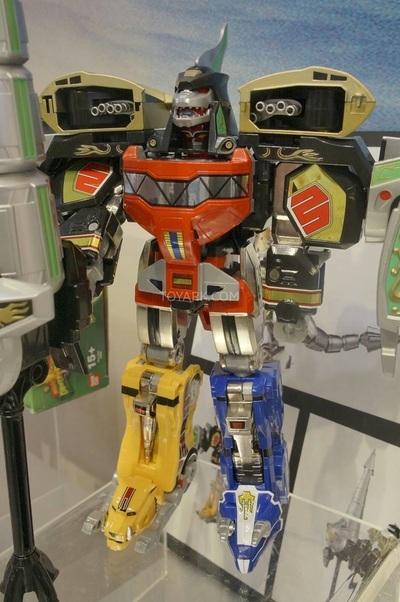 This was shown as part of a promotion for Power Morphicon which is in August 2016. 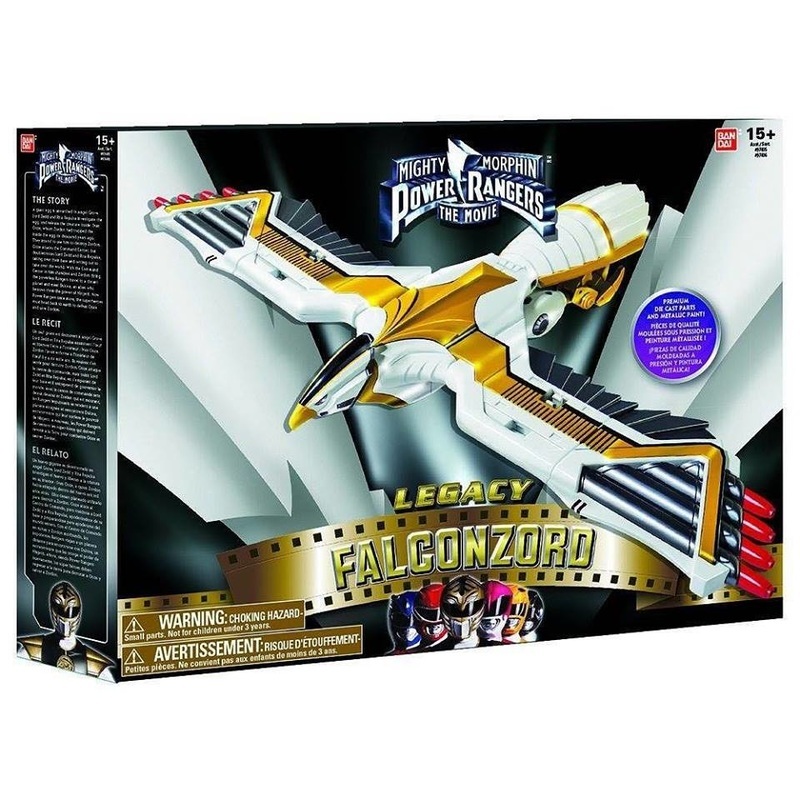 The Legacy Falconzord released in February 2016, is priced at $79.99 and like the other Legacy Figures it is a Toys R us Exclusive. 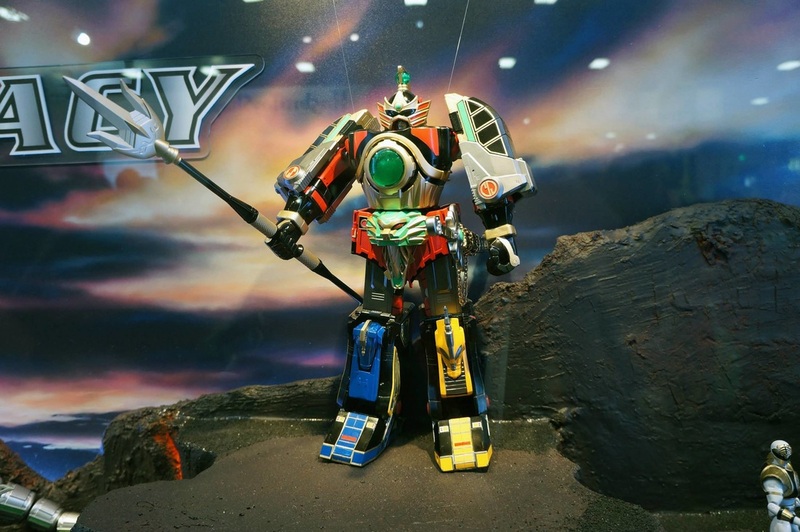 This hopefully means we start to get pictures of the Legacy Ninjazords soon as well! 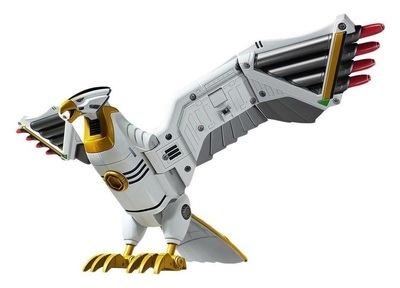 For a review of the Legacy Falconzord PUNCH the button below. 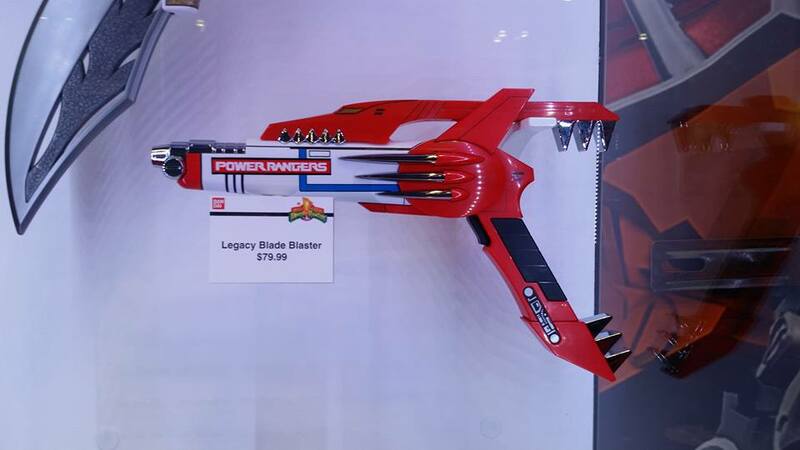 The Legacy Blade Blaster is a recent addition to the Legacy Family and is available at Toys R Us. It is priced at $79.99 and can change from blaster to blade mode easily it also features sounds from the original series. 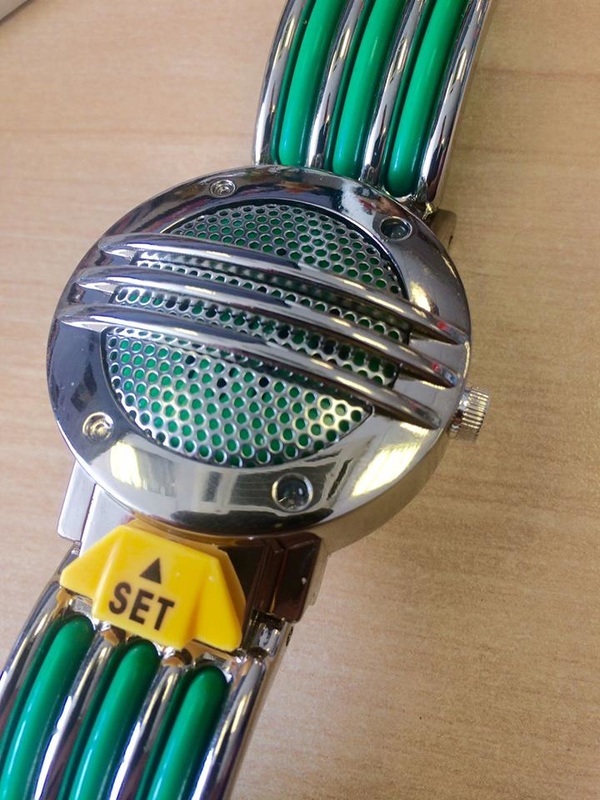 The Legacy Communicator is a recent announcement from Bandai and is expected to come as shown in this picture, one watch with multiple color bands. This item is priced at $69.99 and is out now! 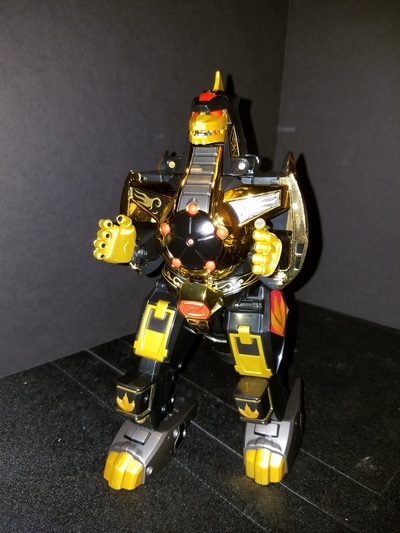 PUNCH the Amazon link below to order! Bandai UK showed off a new Legacy Communicator, The Tommy Oliver Edition. 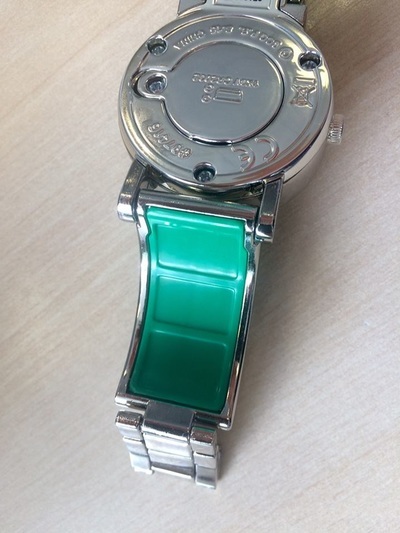 This Legacy product comes packaged with the Green & White watch bands and is available now! 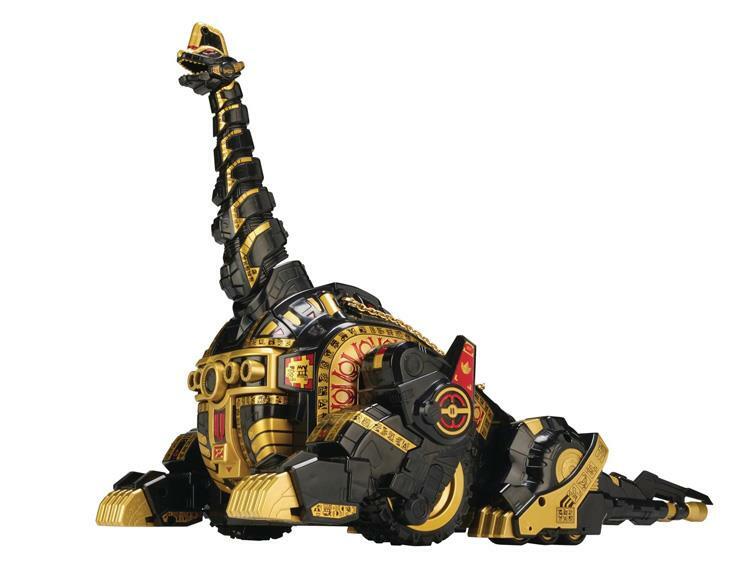 Just like other Legacy Line items this product is a Toys R Us Exclusive! Punch the button to order yours today! As shown in the picture above the Legacy White Tigerzord does change forms and it will combine with Legacy Thunderzords which are due out in 2016. 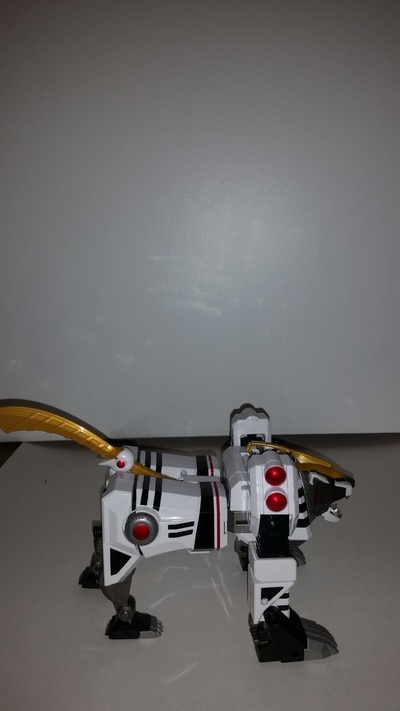 Since this product is part of the zord builder series you can still mix and match parts from other zord builder sets with the Legacy White Tigerzord. 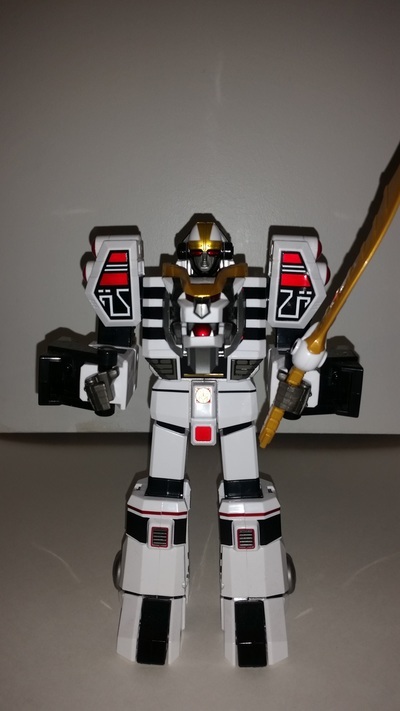 Its a great buy and its very detailed. 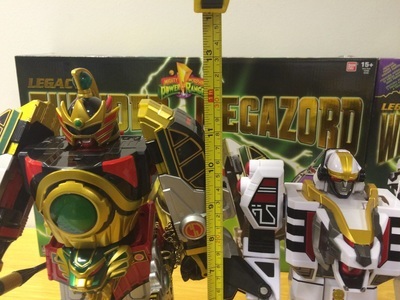 Like the other Legacy figures it is shorter than its original counterpart. 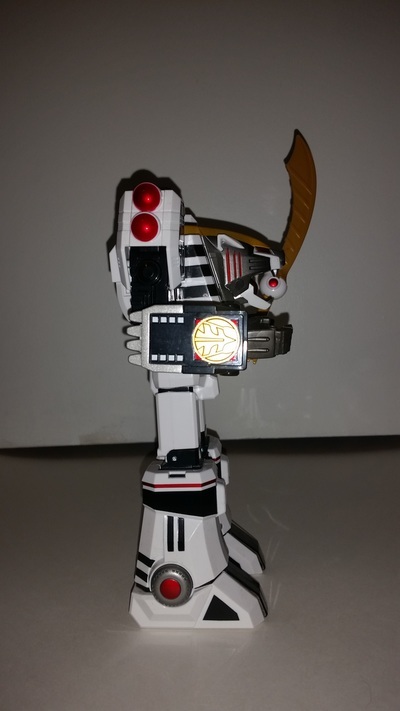 Legacy White Ranger Movie Morpher. Made like the other Legacy Morphers with die cast parts this morpher also has lights and sounds from the original series and comes with the White Tiger and White Falcon Power Coins. 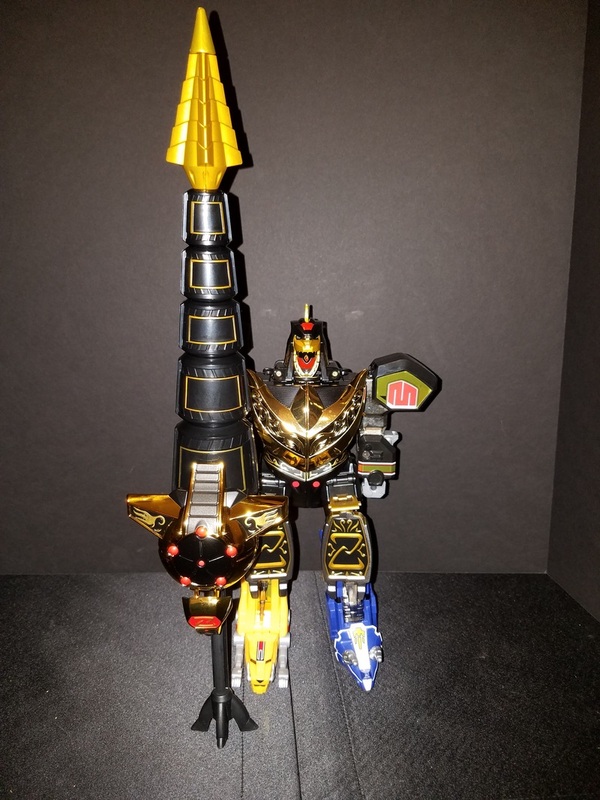 The Legacy Black and Gold Megazord is not something seen in the original MMPR Series but a product that was released with the original toy line. Its exactly the same as the Legacy Megazord but in a black and cold color scheme. 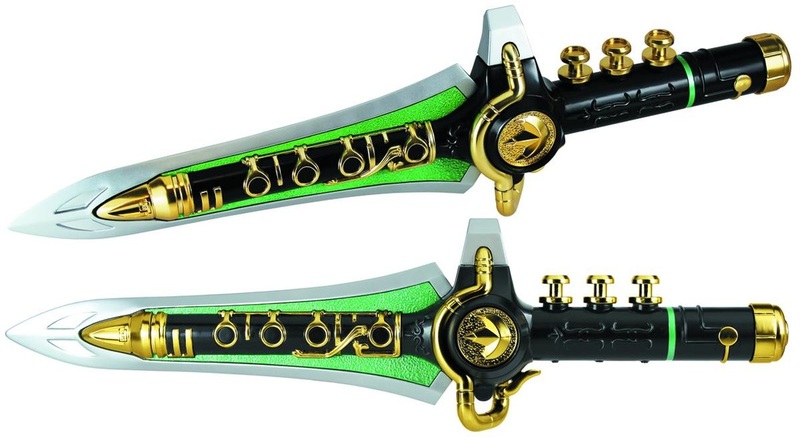 The Legacy Dragon Dagger is updated with die cast parts and sounds from the original series. 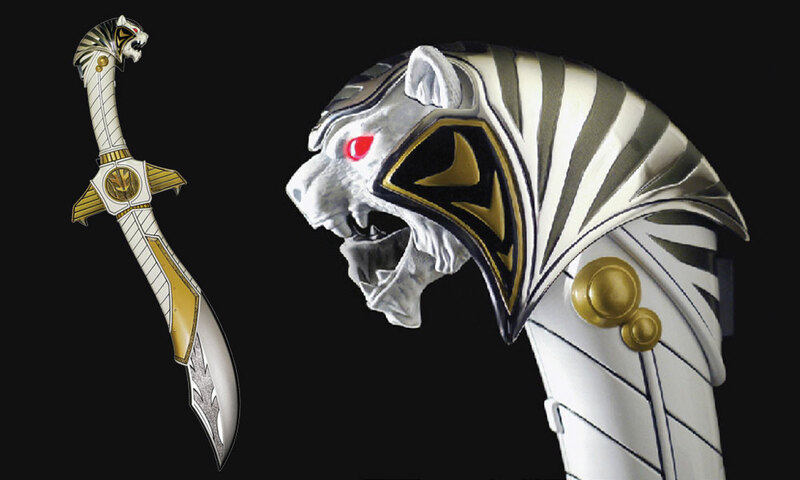 Legacy Saba was the second Mighty Morphin weapon we were given. It comes with die cast parts and is actually larger than the original. 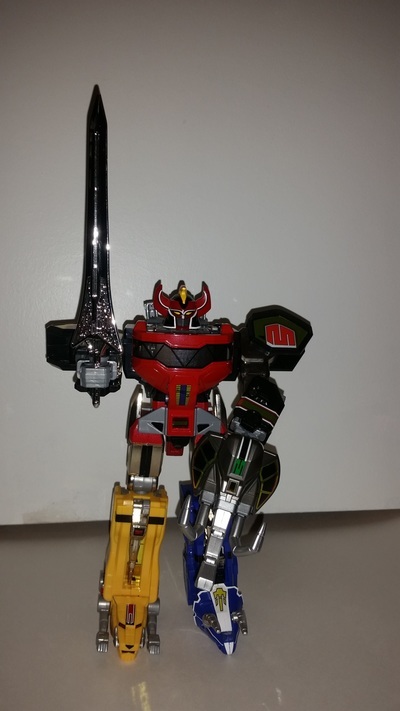 It has some weight to it and is pretty balanced to hold. 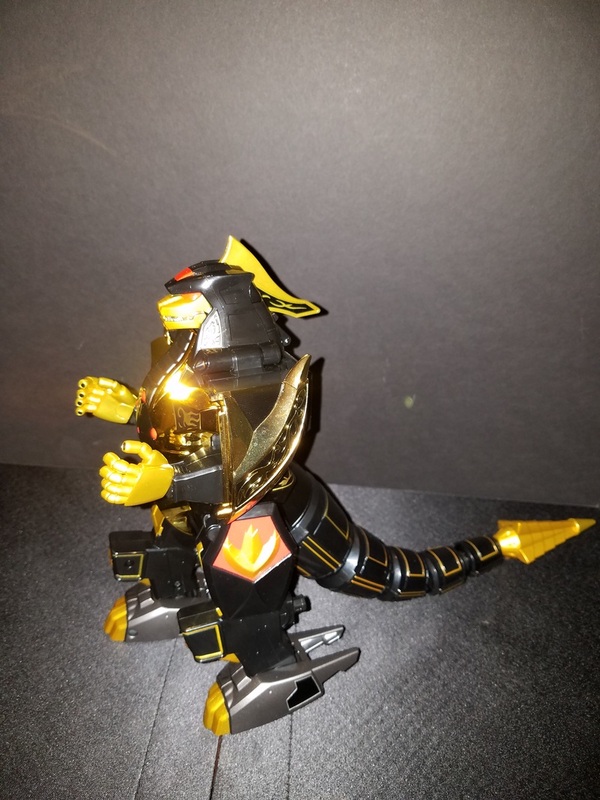 The eyes light up and the mouth moves just like in the show and he also says lines directly from the series. Legacy Saba is selling for about $99.99 and like all of the legacy line is available at Toys R Us. 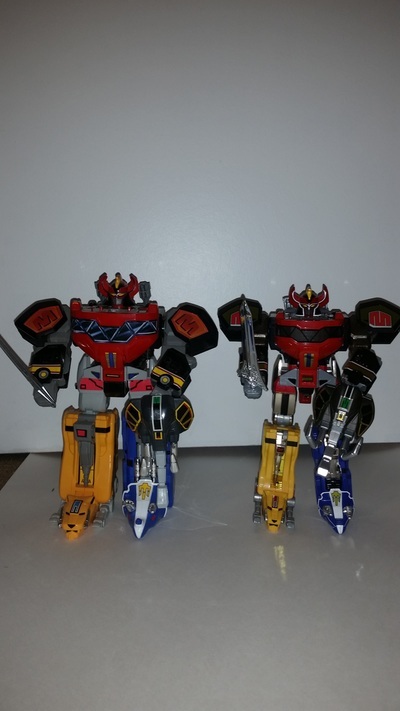 The Legacy Line is a bit shorter than its original product line but the die cast parts help it stand out. 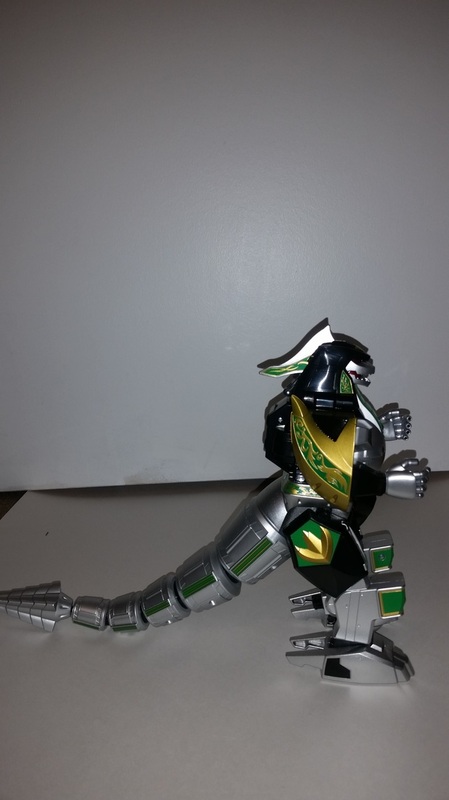 Also so far all Legacy Zord figures are compatible with the Zord Builder system. 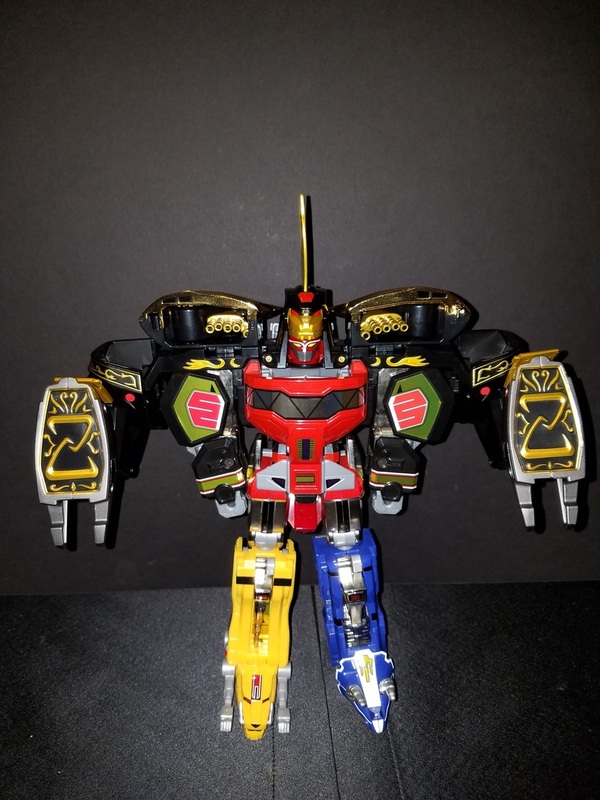 This means you can mix and match your favorite legacy figures with the most recent product releases with out damaging them! This figure is scaled to height with the Legacy Megazord and can combine with it to form the Mega Dragonzord. 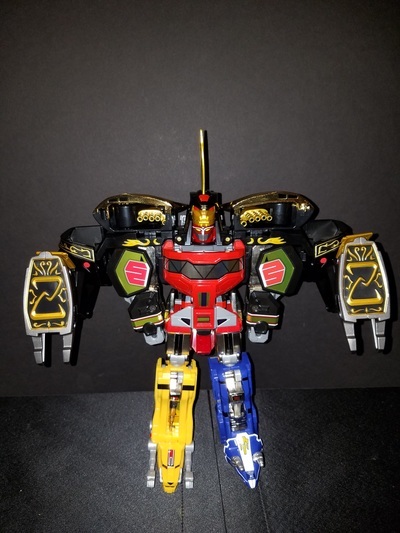 Legacy Titanus is the biggest legacy zord produced so far, he is also the most expensive so far with a $199.99 price point. He is scaled well with the other legacy figures and is still pretty small compared to his original. Bandai chose to remove the motorized function from this release which is a bit upsetting considering how pricey he actually is. The back of Titanus still opens so he can carry the Mega Dragonzord. 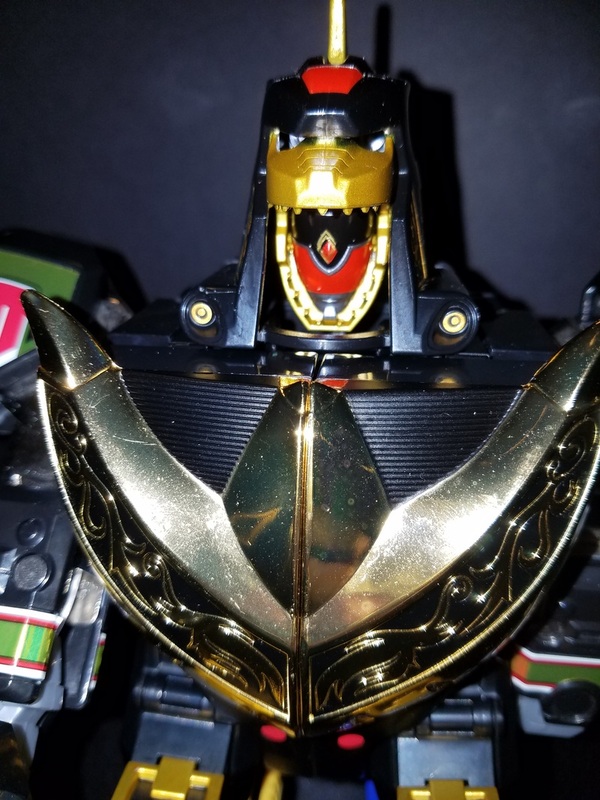 In the end its a great addition to the Legacy Line.